Westmount, Quebec – 01 July 2017: In a fitting way to celebrate the 150th anniversary of Canada’s founding, the RMR participated in a Canadian citizenship ceremony held at the Westmount Recreation Centre. 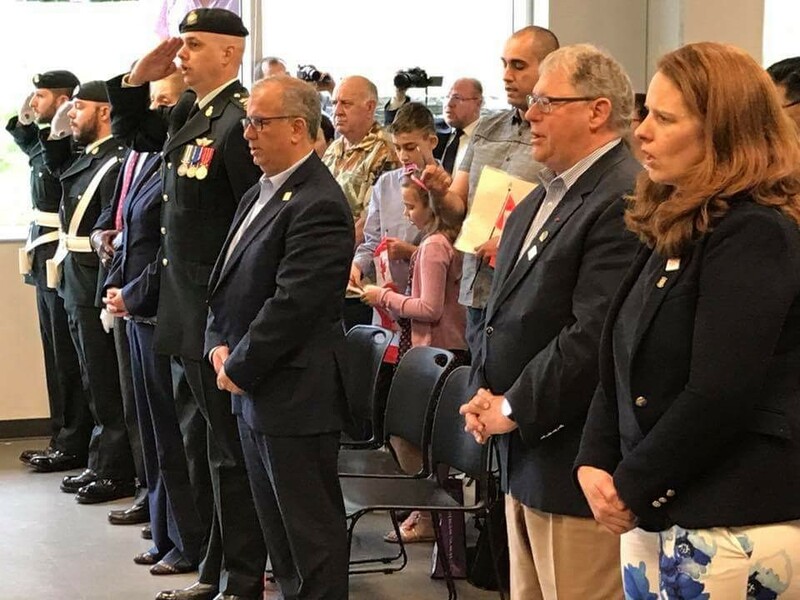 Presided over by Judge Johnson, the ceremony included dignitaries such as the MNA for Westmount-Saint Louis, Jacques Chagnon, the Mayor of Westmount, Christina Smith, and the RMR’s Honorary Lieutenant-Colonel, Colin Robinson. The RMR provided a flag party, Corporals Lachance and Ruscito, who opened and closed the ceremony in a dignified fashion by marching in the Canadian and Quebec flags. Their professionalism and precision duly impressed the audience. 40 people from 19 countries were sworn in as new Canadians in the ceremony.